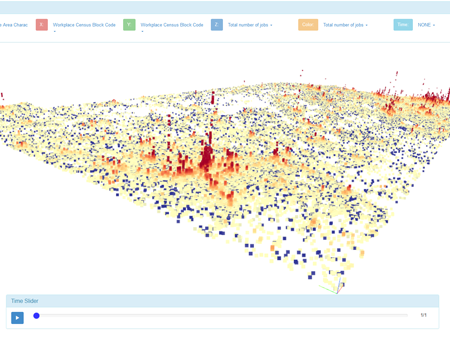 Explorables provide interactive and visual representations of large data sets, revealing patterns, encouraging discovery, and facilitating communication. The Explorables Collaborative, including CREATE Lab and SkyTruth, is dedicated to helping you make your information more impactful. Contact us! 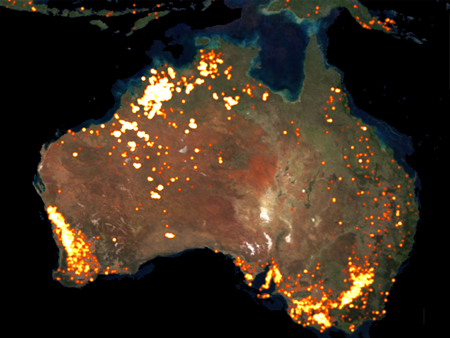 Explorable visualization of a wide variety of fires detected by VIIRS over a year. 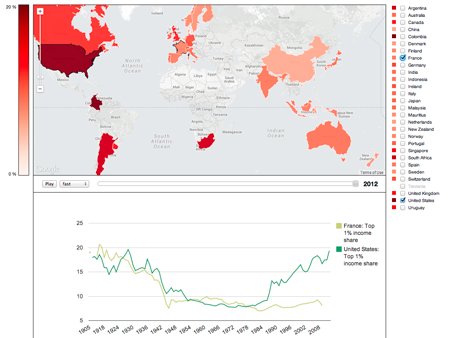 Explorable visualization of the World Top Incomes Database illustrating global income inequality. 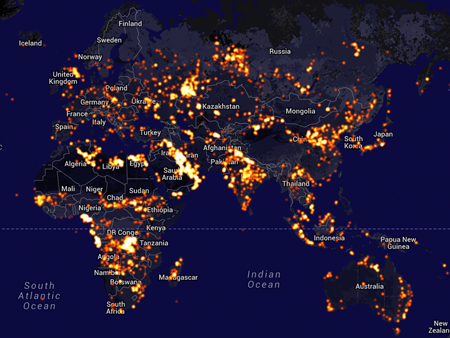 Visualization of thirteen years of MODIS fire location vector data overlayed on an explorable global timelapse. 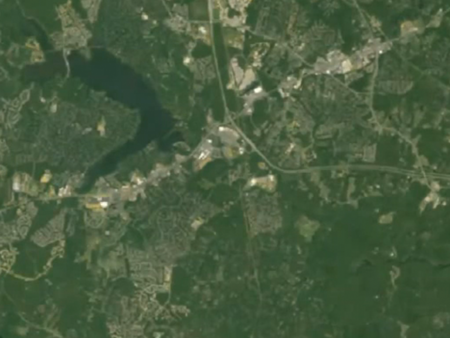 Video exploring the growth of suburban sprawl in Chesterfield County, Virginia using Google Earth Timelapse to show the full scope of changes. 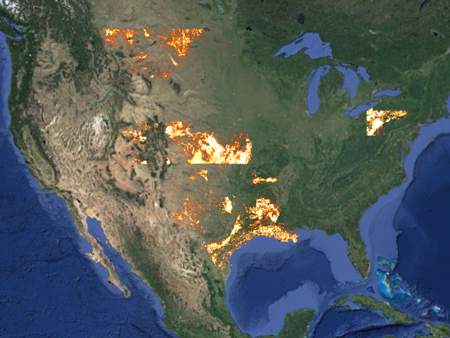 Time series visualization of over one million natural resource extraction wells in eight states spanning decades. 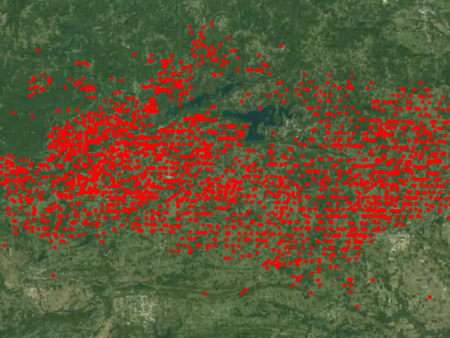 Visualization of Landsat and USGS data, utilizing Google Earth Timelapse to explore the possible connection in Arkansas between earthquakes and natural gas drilling. Multi-dimensional visualization of LEHD (Longitudinal Employer-Household Dynamics) data using EVA (Explorable Visual Analytics). 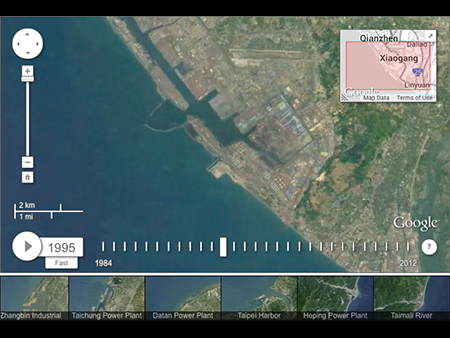 Visualization exploring landscape changes along Taiwan's coastline over two decades using Google Earth Timelapse. 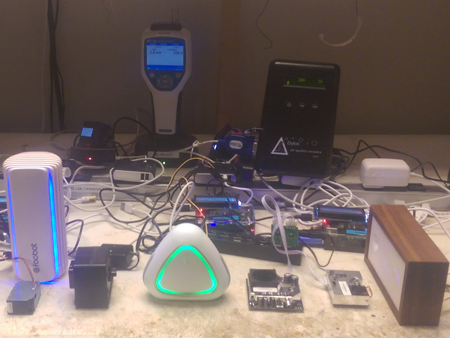 Performance comparision of six low-cost air quality monitors against an EPA-approved class III particle detector. 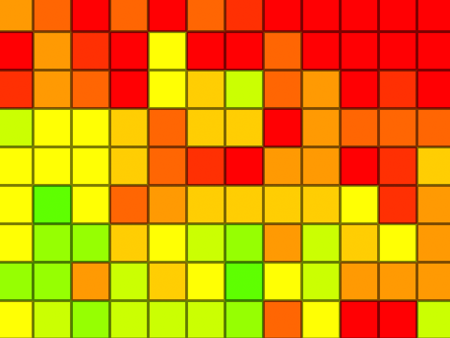 Visualization of a Speck test showing how indoor air quality is effected by vacuuming, running an air purifier, and blowing out candles. 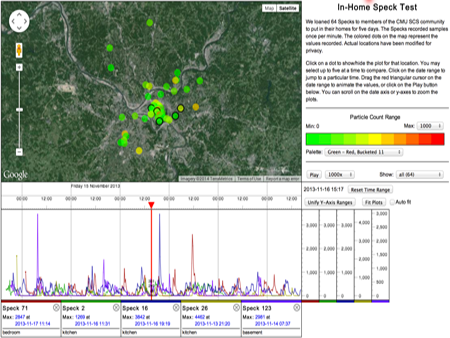 Visualization of air quality data collected by 64 Specks located in homes around the Pittsburgh area for a period of five days. 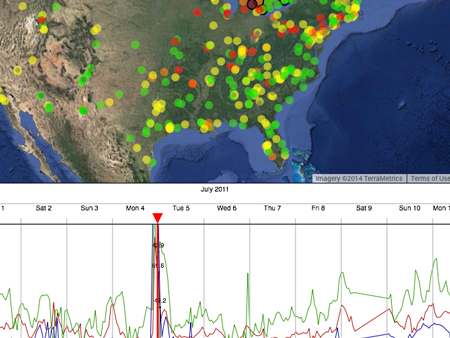 Explorable visualization of AirNow PM 2.5 data showing changes in particle values and air quality across the United States.